At the Oct. 15 Wilsonville City Council meeting, Wilsonville Police Chief Rob Wurpes said the recent shooting in Memorial Park was a statistical anomaly. "There's been no increase in violent crime, there's been no increase in gang-related activity or anything else that would have been an indicator," Wurpes said. Nevertheless, Wilsonville residents who testified at the meeting said the park is rife with criminal mischief and noise at night, and drivers routinely perform a "doughnut," which is a driving maneuver, in the parking lots and in the grassy playing fields. "I'm surprised it (a shooting) hasn't happened sooner," said Kaylyn Martinez, who lives near where the shooting took place. "Petty crimes to me are a symptom of a bigger problem," Wilsonville resident Mark Biondi said. On Friday, Oct. 12, a young man was shot in Memorial Park just before 10 p.m. 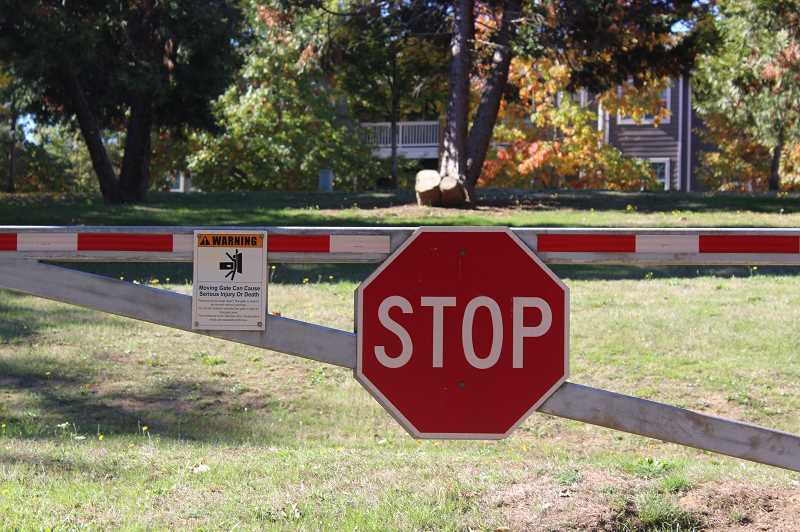 In response, four Wilsonville residents implored the council and the police department to takes measures to improve security and enforcement in the park. Wilsonville staff was receptive to their pleas, stating that they would address the issue. The council plans to consider options at an upcoming meeting. "It's pretty clear that this is a pretty major issue for a significant segment of our populace so I think it's likely the council will really want to see actions that will change the dynamics that have been there," Wilsonville Mayor Tim Knapp said. Wurpes said Wilsonville Police would increase patrols of the park at night and Wilsonville Parks and Recreation Director Mike McCarty said the City could consider the implementation of automated gates that could be closed whenever necessary as well as closing the gate to the river shelter from November to April or May. The main entrance gate is currently closed late at night while the other two gates in the park are always open, City Manager Bryan Cosgrove said. Wilsonville Councilor Charlotte Lehan suggested adding video cameras to the area, which she said would lessen the prevalence of cars performing "doughnuts" in the parking lot. Cosgrove said the City is also considering paving the parking lot by the river shelter but may also implement boulders there to prevent vehicular access. "There will be more collaboration with the parks department, engineering and the community about ideas moving forward," Wurpes said "I don't have solid answers tonight because we need to discuss what those will be. I don't want there to be knee-jerk reactions. I want there to be solid ideas about how we move forward and be better." Cosgrove said the park poses an inherent challenge: it's isolated and not viewable from the exterior streets. And because of that, he said issues will likely persist. "I think we want to take away as many of the attractive uses that go on there that we possibly can, understanding that we're not going to catch every added danger that goes on in that park," he said. Wilsonville resident Brittany Armstrong said the park has gotten noisier at night and she's seen more cars speeding through. Errol Bradley, who lives near the River Shelter, said he struggles sleeping at night due to the noise. "We're concerned about our safety as a family but also the kids walking through the park," Armstrong said. Wilsonville Councilor Scott Starr posited that enforcement should not only be increased in Memorial Park but also other areas of Wilsonville that could be attractive gathering spaces for criminal mischief. "If we start to see patrols daily, I don't want to open the door for another place in the city to have the same thing happen," he said. "We're definitely going to have to make sure there's a higher presence in a lot of places that resemble Memorial Park from the standpoint of space, isolation, that make it attractive to some folks." Biondi said he appreciated Wilsonville leaders' ideas but expressed frustration that when he or neighbors call the police department reporting criminal mischief in the park, the police either don't show up or take too long to arrive. He also said he has told the Parks and Recreation Advisory Board about the issues. "Oftentimes it feels like 'Okay, we hear you and we'll do something' and then nothing gets done. It's sad that it take something of this magnitude to get the attention of the (City)," he said. The City will discuss the issue and address possible solutions during a meeting at Wilsonville City Hall from 6-7 p.m. Wednesday, Oct. 24. "We're going to set realistic expectations about what we can do now versus long term," Cosgrove said.